Akhila went to a fair in her village. She wanted to enjoy rides on the giant wheel and play hoopla (a game in which you throw a rig on the items in the stall, and if the ring covers any object completely you get it). The number of times she played hoopla is half the number of rides she played she had on a the giant wheel. Each ride costs Rs.3 and a game of hoopla costs Rs.4. 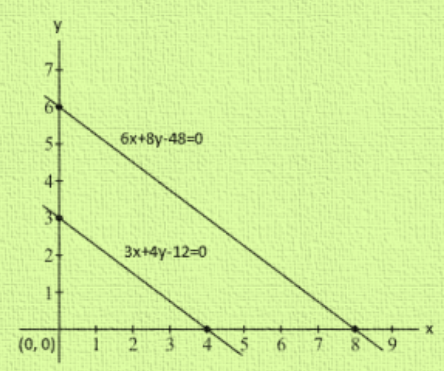 If she spent Rs.20 in the fair, represent this situation algebraically and graphically. 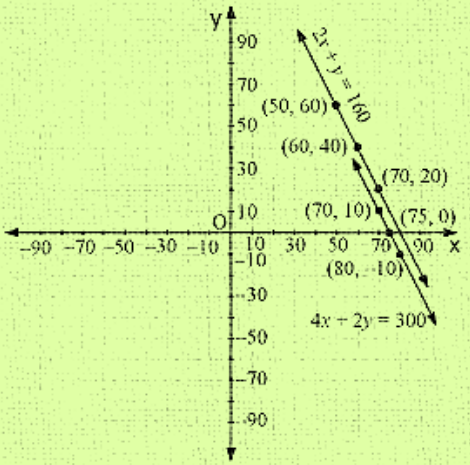 x = 20/3 but it is not an integer so it is not easy to plot on graph paper so we chose y = 2 which gives x = 4 as an integer value. The path of the train A is given by the equation 3x + 4y - 12 = 0 and the path of another train B is given by the equation 6x + 8y - 48 = 0. Represent this situation graphically. 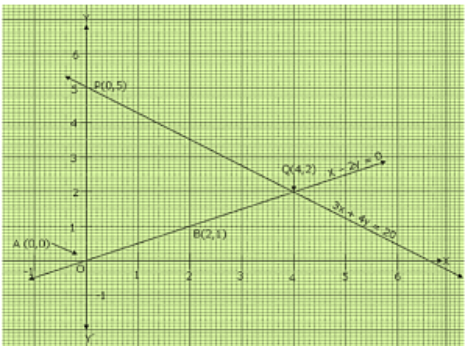 The paths of two trains are given by the following pair of linear equations. Gloria is walking along a path joining (-2, 3) and (2,- 2), while Suresh is walking along the path joining (0, 5) and (4, 0). Represent this situation graphically. 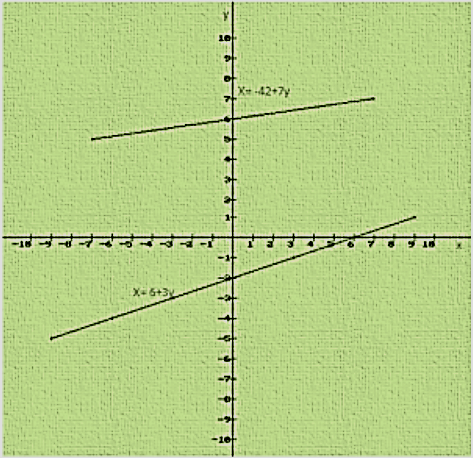 We observed that the two lines did not intersect anywhere, hence they are parallel. (ii) 9x + 3y +12 = 0 and 18x + 6y + 24 = 0. (ii) 9x + 3y + 12 = 0 and 18x + 6y + 24 = 0. Both the lines co –inside with each other. Therefore the lines are parallel. Given the linear equation 2x + 3y – 8 = 0, write another linear equation in two variable such that the geometrical representation of the pair so formed are. 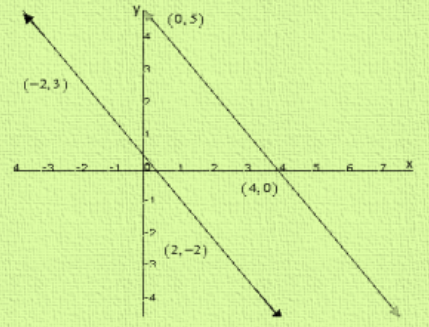 2x + 3y - 8 = 0 and 4x + 9y - 4 = 0 intersect each other at a point. Therefore the lines are parallel to each other. The cost of 2kg apples and 1kg of grapes was found to be Rs.160.After a month the cost of 4 kg of apples and 2 kg of grapes is Rs.300. represent this situation algebraically and geometrically. Let the cost of a 1kg apple and 1 kg grape be Rs x and Rs. y respectively.